When Freedom Airlines flight 121 went down over the Pacific Ocean, no one ever expected to find survivors. Which is why the sixteen-year-old girl discovered floating among the wreckage, alive, is making headlines across the globe. She can't remember anything from the accident, her family, why she was on the plane bound for Tokyo... Or her own name. Plucked from the wreckage of flight 121, she is the sole survivor floating amongst the debris. Dubbed 'Violet', due to the colour of her eyes, she isn't on the passenger manifest and carries no identification, her fingerprints aren't on any government database, nor her DNA. All she has is the drab grey uniform she was wearing and a piece of jewellery with an inscription that doesn't ring any bells. If only she could remember. Why isn't Violet's family coming to take her home? Placed with a foster care family for the time being, Violet begins to rediscover the world, but can't shake the feeling that she is being watched. With his piercing stare and lopsided grin, he seems all too familiar. Did he really know her from before the airline accident? 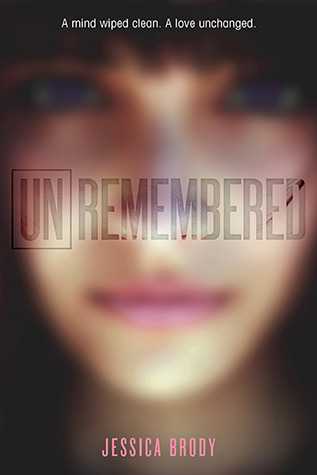 Oh, how I loved Unremembered! It certainly lifted me out of my recent book funk. It's witty, intelligent and our heroine is a breath of fresh air. As 'Violet' / Sera discovers her new world without her memories, It's impossible to put down. I didn't care much for Zen, and his character was too cardboard - esk, but he only played a small role, so it felt more as an introduction to his character. It begins similar to a contemporary novel, but then slowly drifts into a science fiction novel. I thoroughly enjoyed it and can't wait for the second installment. I didn't know this was a sci-fi book. I feel like I read a review about it not to long ago and that was never mentioned. I wonder how people reacted to her purple eyes. I would have just stared at her like who has purple eyes? I hope that's addressed because it feels like it would just be an amusing moment. I never liked the name Zen because of this kid in my class so no biggie for me. I'm glad it focuses more on the main character and her situation than on the potential romance. It's hard to explain why, without giving away chunks of the plot, but with the references to time travel alone would have me rating it as science fiction, but it doesn't have that usual feel though, it's quite funny.